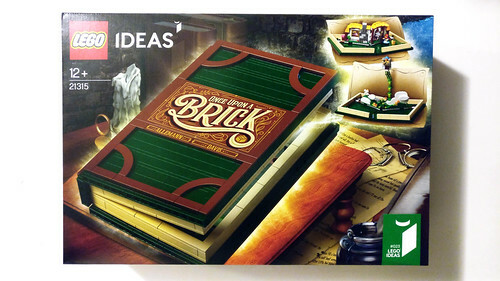 Earlier today, LEGO announced the new LEGO Ideas Pop-Up Book (21315) and this set was the brainchild of Jason Allemann and Grant Davis. 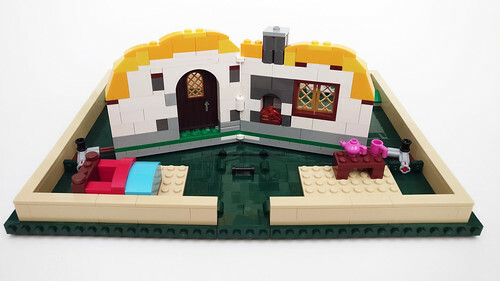 Containing 859 pieces while retailing for $69.99, the book features two well-known short stories with the Little Red Riding Hood, and Jack and the Beanstalk. 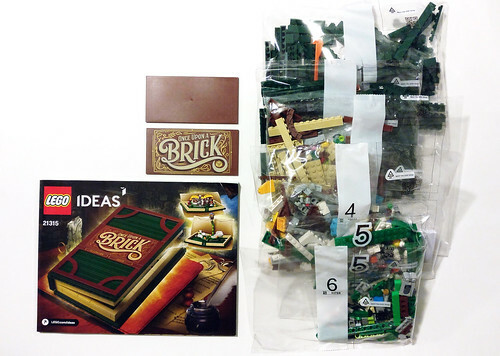 The contents of the box includes six numbered boxes, the instruction booklet, and two loose 8×16 tiles, one of which is printed with the book title. 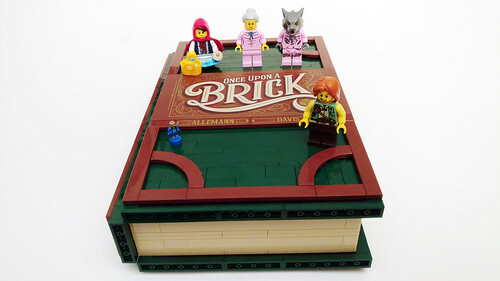 There are four minifigures included in this set, Little Red Riding Hood, the Grandmother, the Big Bad Wolf, and the Giant. 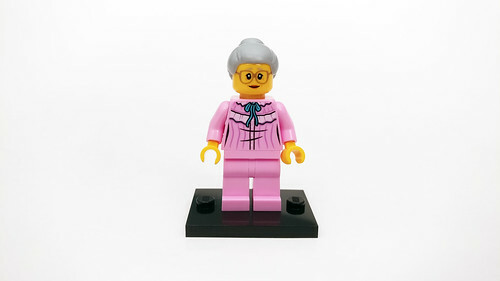 The set also includes a microfigure of Jack as well. Little Red Riding Hood wears a dark blue outfit with a white apron printing that goes down to the skirt piece. The skirt is light blue with some floral printing. She has a happy expression with some freckles on the head. The red hood also has some brown hair molded on to it in the front. A short red cape completes her look. 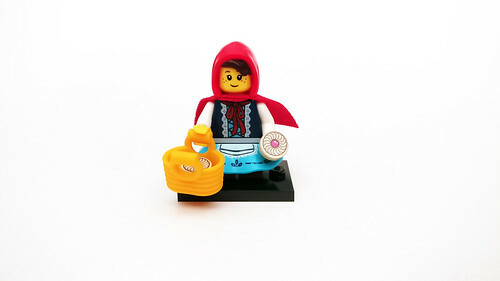 Her accessories include a basket with some pastries. 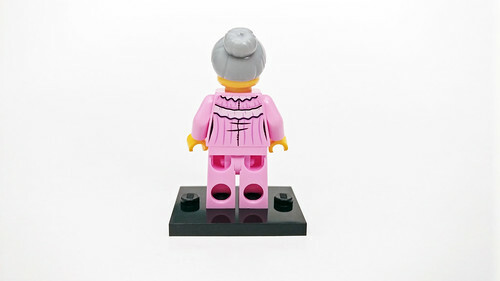 Grandmother has on some pink pajamas and honestly she looks great. Her facial expression shows her with sort of a worried look. Her hairpiece is a gray bun that is very useful. 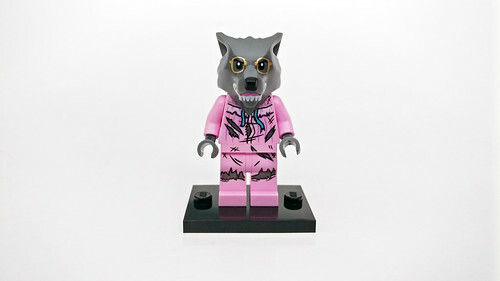 The Big Bad Wolf also has on the same pink pajamas but they are tattered showing off his gray fur. 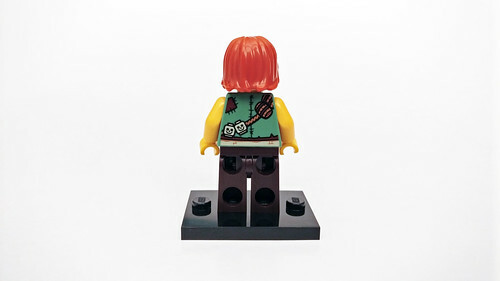 This printing show on both sides of the torso and on the front of the legs. 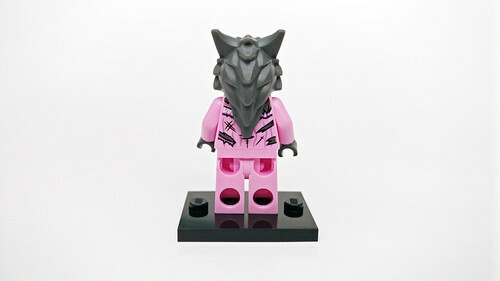 The head mold is the same as the Wolf Guy from the Series 14 Collectible Minifigures but it has some extra printing on it including some glasses and pink lipstick. The Giant has on a tattered shirt with a sand green vest. There’s a rope that goes around the body with some barrels, skulls, and a pouch that has a golden egg. There’s also a goose that is sitting inside the front pocket. 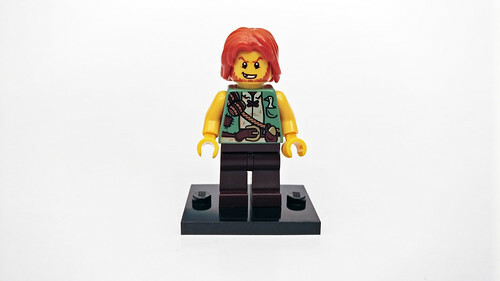 Lastly, we have the Jack microfigure. 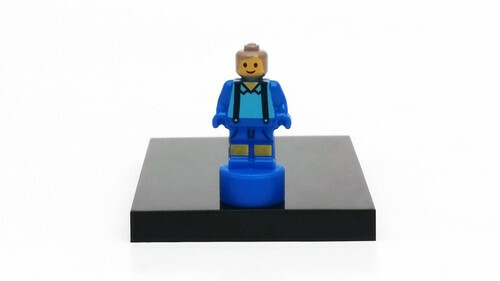 He has a blue outfit with some supsenders. 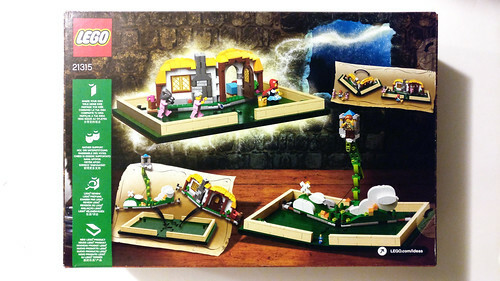 You get two of the microfigure pieces in case you somehow lose one of them. The build starts with the covers of the book. 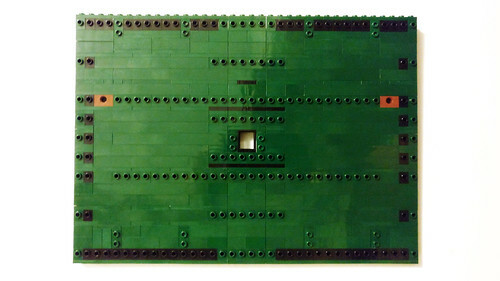 There are a number of exposed studs that will be used to add detailing on both sides of the book. You’ll notice a window in the middle of book and wondering what it’s for. 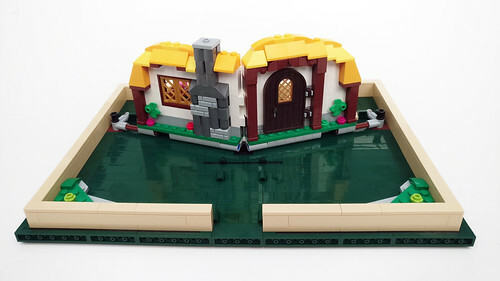 It is not part of the model but it allows parts of the build inside the book to have clearance to move inside. 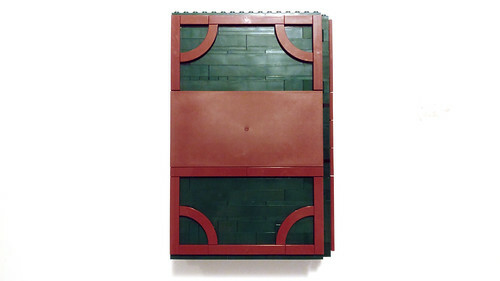 The outside of the book uses a lot of tile pieces for detailing. 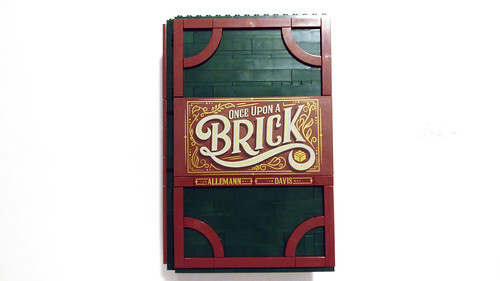 The title of the book uses the aforementioned printed 8×16 tile and it nicely shows Once Upon a Brick. There are also some printed tiles for the fan designers’ names. The back cover has the same design as in the front minus the printed tiles. 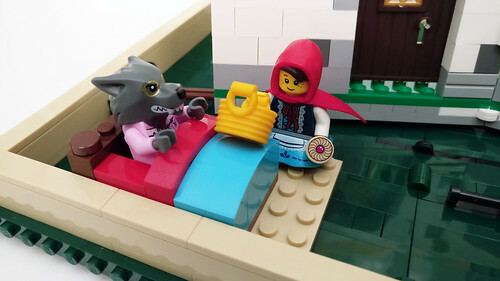 On to the two different stories that are featured in the Pop-Up Book, the first scene is from the Little Red Riding Hood. 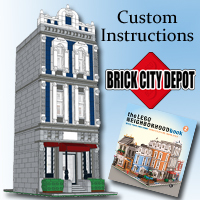 You have a fairly detailed cottage facade complete with a wooden door and a stone chimney. 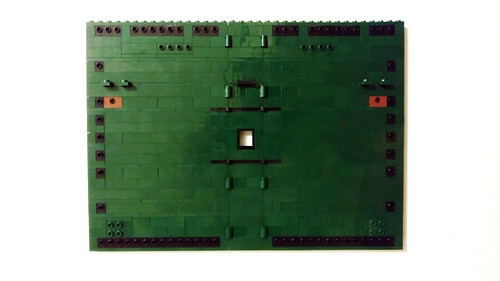 At the ends of the build are some hinges with some pins to connect to the cover. At the back of the cottage, we have the grandmother’s bed on one side and a table on the other side. The Jack and the Beanstalk story scene is a bit different from the Little Red Riding Hood. 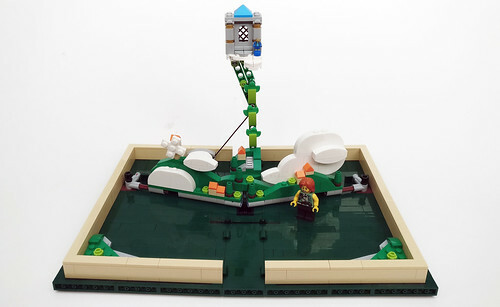 The foreground is microscale and features a hilly landscape with some houses, trees, and clouds. 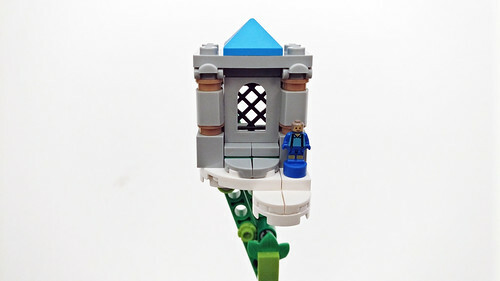 Like with the previous build, the ends have some pins to connect to the book base. The background of it is the giant’s house on top of the beanstalk. 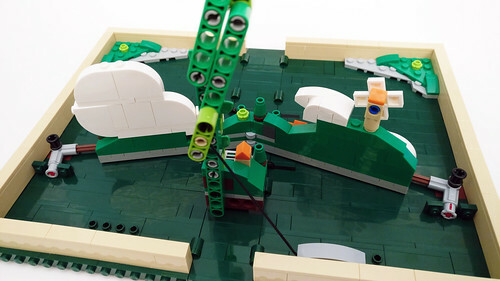 There’s also a Technic mechanism on the back along with the string to make the beanstalk prop up high above the clouds. 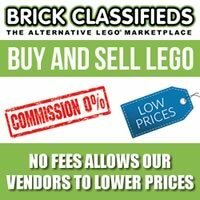 I think this feature is pure genius and very satisfying to see up close. 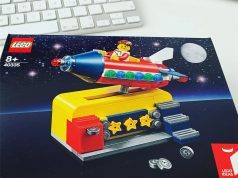 After building it and playing with it for a while, the LEGO Ideas Pop-Up Book (21315) is a winner for me. 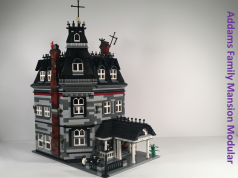 When I saw the project hit 10,000 supporters on LEGO Ideas, I knew then that it had a great chance to become a set because of its originality which is something that LEGO set out to do when they first started the platform. As for the set itself, it’s a good sized book and really well put together. 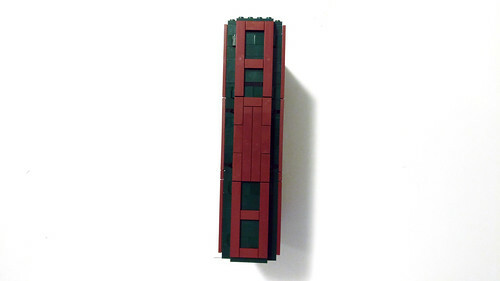 It did get fairly boring building the front and back covers because of the repetitiveness. Soon after I got down to the nitty gritty parts which were the two stories that are included. 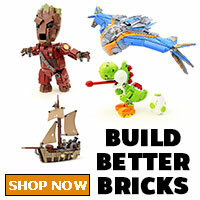 The pop-up features for both of them are smooth and seamless and I have no complaints about that. 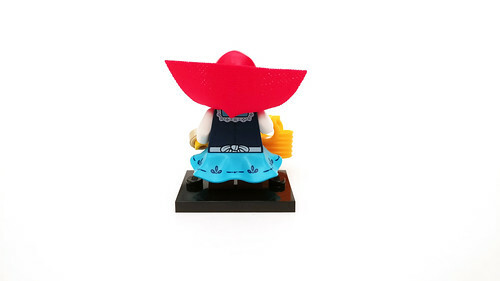 The minifigure selection is also spot-on with all the nicely printed pieces. As for the negatives of the set, they’re just minor nitpicky things. If you have one story attached to the book, the other one is just laying somewhere. 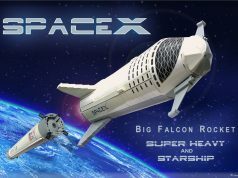 I do wish that it was big enough to store everything in the book but it would’ve made it a tad too big. 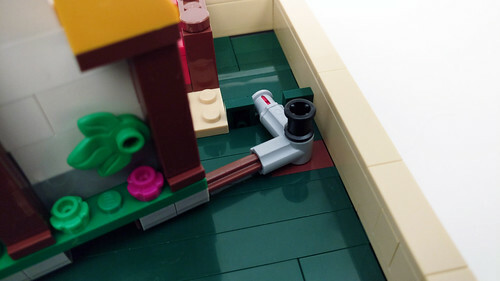 Another thing is that the original submission had a clasp to hold the book together but LEGO omitted that feature. All in all, I will unequivocally suggest picking it up when it becomes available on November 1. 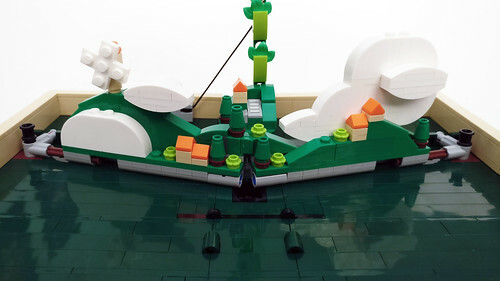 The price is good with what you get and hopefully it inspires you to build your pop-up scenes. 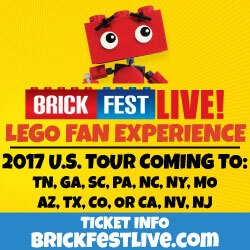 I’m actually excited to see what fans will come up with.